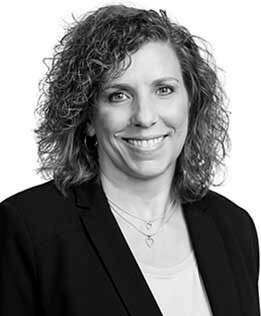 As an Assistant Director of Testing on GCG’s Operations Team, Laurie Dortz and her team are responsible for testing and data review of case-specific systems deliverables that function across all GCG offices and cases. She has applied her strong data mining and analytical experience to a number of significant cases over the past eight years, playing an integral role in GCG’s handling of some of the largest and most complex settlements, including United States v. Pokerstars (Full Tilt Poker), the Cobb EMC Patronage Capital Settlement, the Stryker Modular Hip Settlement and the Deepwater Horizon Settlement. While working on Cobb and Full Tilt Poker, Ms. Dortz addressed myriad complex data challenges, pertaining to inaccurate and outdated data preserved in disparate systems, as well as a high volume of transactional records. From the inception of those cases, Ms. Dortz has been involved in the development and administration of customized databases to provide comprehensive details for each class member, as well as the online claimant portals which collected further information from the filers to assist in providing personalized settlement payment options. Prior to joining GCG, Ms. Dortz worked for more than 15 years supporting several Fortune 500 organizations exploring innovative solutions for analyzing significant amounts of information in complex environments.